(Piano/Vocal/Guitar Artist Songbook). 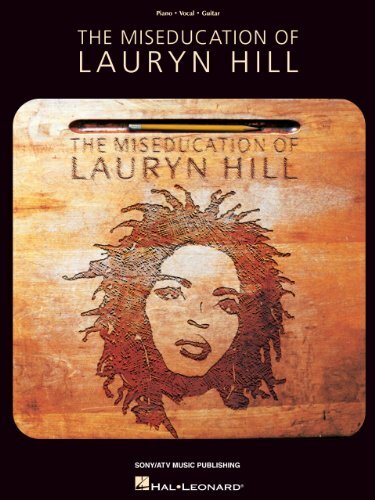 The matching folio to this multi-Grammy-winning (1998 Album of the Year, Best New Artist, Best R&B Album) release includes the award-winning hit "Doo Wop (That Thing)," the title song, and 11 more: Every Ghetto, Every City * Everything Is Everything * Ex-Factor * Final Hour * Forgive Them Father * I Used to Love Him * Lost Ones * Nothing Even Matters * Superstar * To Zion * When It Hurts So Bad. Includes photos. 5つ星のうち5.0One of the Best Albums of our generations. This music book is an excellent source of an easy to learn Piano-Voice-Guitar sheet music. 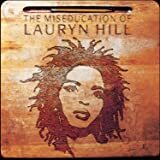 Lauryn Hill displays her intelligence and articulate abilities in "The Miseducation Of Lauryn Hill." Though Ms.Hill has yet to produce another complete studio album since "The Miseducation..." she has left a legacy, as well as an impact on our generation, and definitely those to come. I still find it amazing how far ahead of her time this album presents itself, no one would could honestly tell that this album is over a decade old; that is what good, classic music is all about.